Gentle Yoga | Crozet Arts: Dance-Music-Theater-Visual Arts-Yoga Ballet, theater, art, music, yoga classes in Crozet, western Albemarle, near Charlottesville, Virginia. Looking for a less strenuous form of yoga? 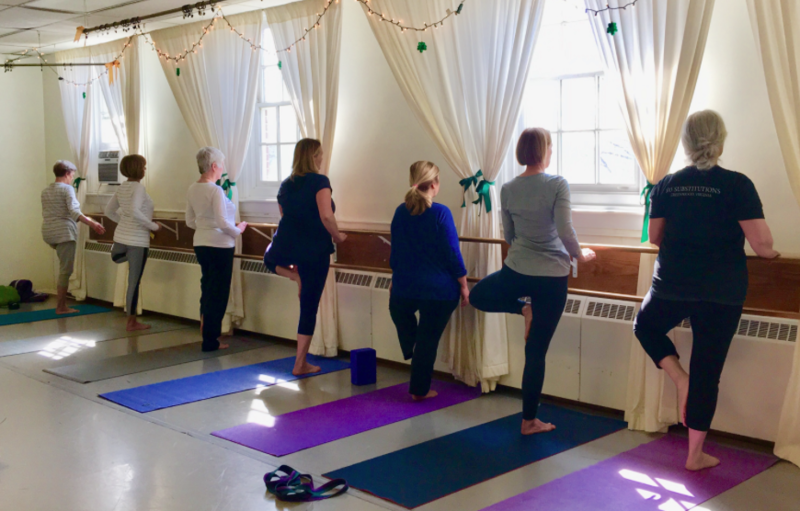 Gentle Yoga is a perfect fit for seniors, anyone recovering from an injury, anyone looking to improve his/her physical condition and/or flexibility. We will work on Hatha yoga poses, stretching, and strengthening exercises in a relaxed workout atmosphere. The class will also include restorative poses for overall wellbeing.